Fun kids vacations are available for toddlers to teens and everyone in between. No matter what your family's interests are, you can find something enjoyable for every age group. Walt Disney World in Orlando, Florida is great for kids of all ages. There are water parks, pools, rides and shows. Toddlers and pre-schoolers will enjoy special amenities like meals with Winnie the Pooh. Meanwhile, teens can do some hands-on learning at Epcot. If you are looking for a theme park geared to the little ones Pennsylvania has two: Dutch Wonderland in Lancaster and Hershey's Chocolate World in Hershey. Both offer rides for younger children, such as the merry-go-round at Dutch Wonderland and the trolley with singing conductors at Hershey's Chocolate World. If you have older kids, you might consider one of the Universal Studios theme parks. Located in Orlando, Florida, and Hollywood, California, these parks provide a behind the scenes look at the movie industry. There are water rides, animal shows and roller coasters. A stay at a family farm is educational and entertaining. You can enjoy the comforts of home in a rural setting. There's lots to do, such as pet the animals, go fishing or even help with the chores. Check for fun kids vacation options at the Pennsylvania Farm Vacation Association or the Maine Farm Vacation Association. Let the kids channel their inner cowboy by visiting a dude ranch. They can ride horses, go swimming and have a campfire sing-along. If your children don't know how to ride, don't worry. All ranches offer lessons and have horses appropriate for beginners. 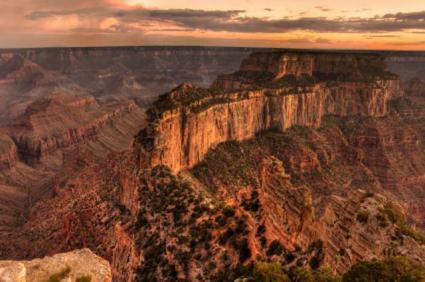 The natural wonders of the United States are on display at National Parks. Your teenager might enjoy a mule trip to the floor of the Grand Canyon or a raft ride at Yosemite. Visit the National Park Service website to find natural treasures near you. Cruises: Family sailings are fund and a good value, as all meals and accommodations are included in the price. Kids of all ages will enjoy shore excursions at the ports of call and the abundant onboard activities. If you have little ones, Disney cruises is a great option. The ships feature clubs, shows, parties and swimming. Family Resorts: Club Med and Beaches and other all-inclusive resorts often offer activities for families with children, such as snorkeling, kayaking, and dancing. Educational Tours: Washington, D.C. is the center of the United States government, but it's also a great family vacation destination. Toddlers and pre-schoolers will enjoy visiting the animals at the National Zoo and taking the tram through the United States National Arboretum. If you have older children and teens, consider visiting the Smithsonian Institute museum complex. The National Archives is another must-visit site, as kids can view the Declaration of Independence and Constitution. You can also tour the White House and other national monuments. Taking the kids on vacation creates memories that will last a lifetime. Consider their interests and their age level and you are sure to have a great time.